We offer wide range of Clean Room Products that includes Head Covering & Face Mask, Anti Static Aprons, Anti Static Gloves & Shoe Covers, Tacky Mat, Clean Room Wipes etc. 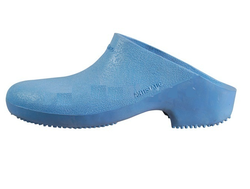 Cleanroom clogs are auto clavable, anti static, flexible, available in blue color and in any size. Tacky Mat: Technology improvements in the field of Electronics, Pharmaceutical, Precision and Food processing have made the cleanliness more demanding. Static clean room Zoning is effective only when entrance of particles and dust into the clean room is fully prevented. 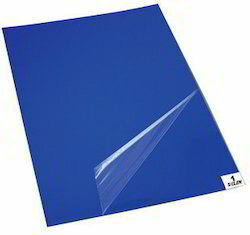 Though experience and various test it has been confirmed that only one strap or two of uncleaned shoe soles are enough to bring thousand of harmful particles and dust into the clean room Areas / Shoes, slippers etc., which pass over the disposable sticky mats surface are cleaned of dust particles sticky mat can be supplied with ESD properties also. 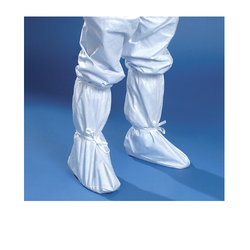 We offer clean room booties. 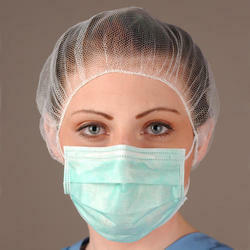 * Packed in anti-static silicon free poly bags. 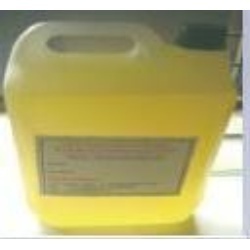 * Heat sealed, solvent safe, double bagged clean room packaging. Made of special polyester fiber, it is excellent at removing dust and absorbency, low in particles and extractable. It is soft to the touch and will not damage the surface of objects.It has almost no chemical reaction, good performance in either wet or dry condition and flexibility on style and size. 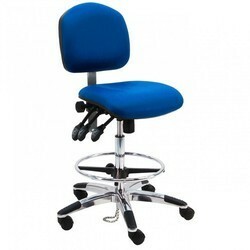 There are several kinds for different applications and functions. Semiconductor production line, chips, microprocessor etc. Laboratory , Clean room and production line, equipment. (1 liter sol: 25 liter water. ) and then use it.